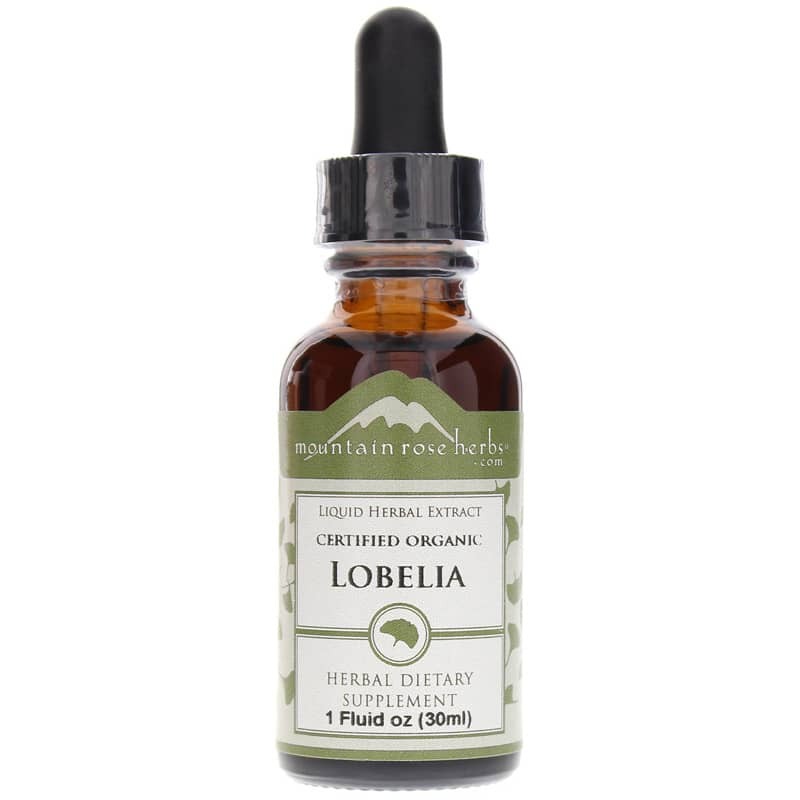 Certified Organic Lobelia from Mountain Rose Herbs is an herbal supplement that is intended to promote relief from symptoms of upper respiratory problems. 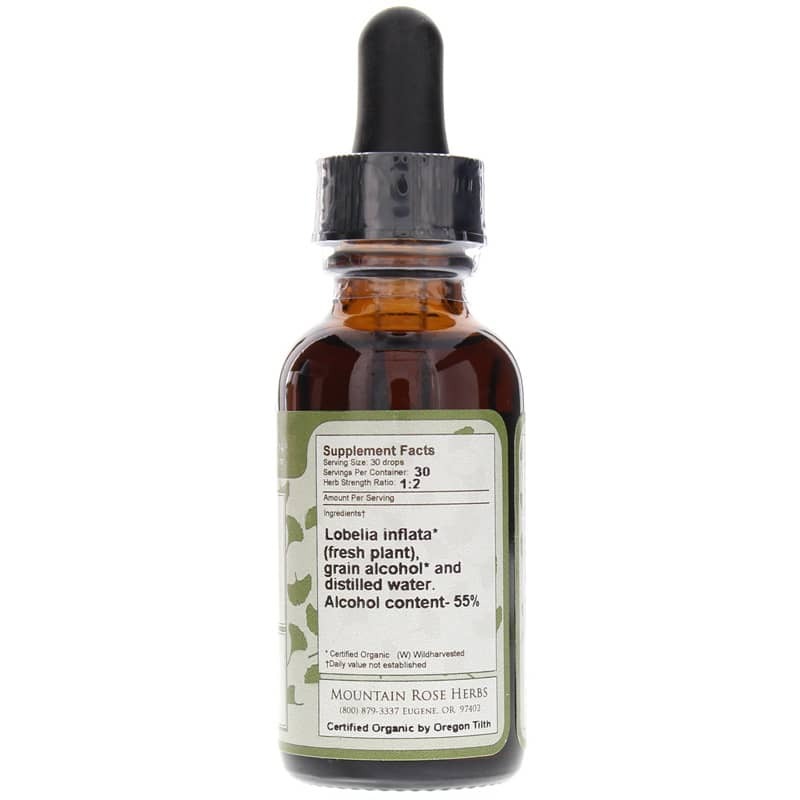 The herb Lobelia has been used for centuries to help promote the relief of various upper respiratory issues. Native Americans used to smoke the herb and use it for different medicinal purposes. Lobelia has been used to promote better breathing in those suffering from upper respiratory problems. The herb has also been used to help induce vomiting to help clean the body of toxic substances. 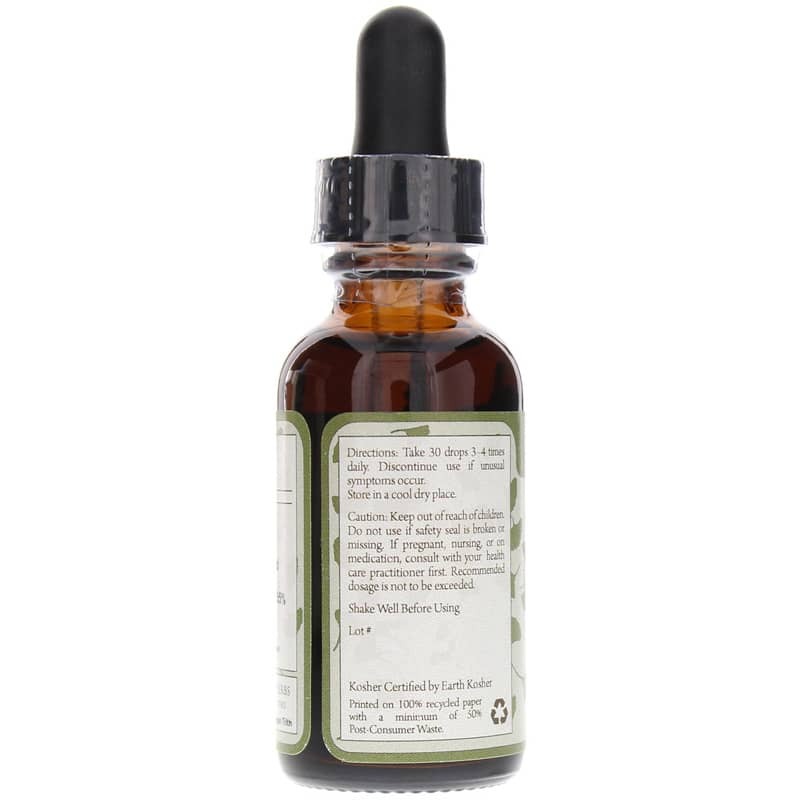 Adults may take 30 drops 3 to 4 times per day. Do not continue to use the herbal supplement if unusual symptoms occur. Shake well before using. Other Ingredients: Grain alcohol* and distilled water. Alcohol content: 55%. Adults: Take 30 drops 3 to 4 times daily. Discontinue use if unusual symptoms occur. Shake well before using. Because of its similarity to nicotine, lobelia may be dangerous to susceptible populations, including children, pregnant women, and individuals with cardiac disease. Excessive use will cause nausea and vomiting. Not recommended for use by pregnant women. It is best administered by a practitioner qualified in its use. Keep out of the reach of children.